Kyle Wilson was welcomed to the Slone Partners Advisory Board in 2015. 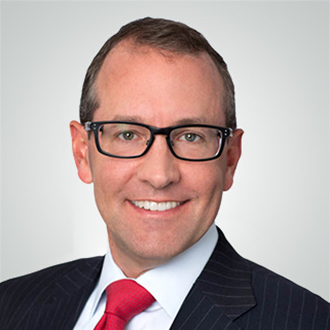 Mr. Wilson currently serves as a Partner with BroadOak Capital Partners. Based in Bethesda, MD, and San Francisco, CA, BroadOak provides investment banking advisory services and growth capital investments to innovative companies within the life science research tools and diagnostic markets. In addition to serving as a Partner with BroadOak, Mr. Wilson is an Advisory Board member of Cenetron Diagnostics. With 18 years of investment banking experience, Mr. Wilson’s background includes broad transaction experience in both capital formation and M&A. Prior to BroadOak, Mr. Wilson was a Principal at Canaccord Genuity where he led the tools and diagnostics team and was also a Vice President with RBC Capital Markets. Mr. Wilson has completed over $1.5 billion in transactions in his career. Mr. Wilson holds a B.S. in Business Administration, a Juris Doctorate and M.B.A., all from the University of Oklahoma. Related page: Vijay Aggarwal, Ph.D.